2. Saute the onions until soft, about 3 minutes. 3. Add garam masala powder, tomato ketchup, ginger and green chillies. 5. Simmer for a minute. 6. Add the chickpeas and tomatoes. 7. Reduce flame and cook for 20 minutes. 8. Add the yogurt and coriander leaves. 9. Stir well and remove from flame. 10. 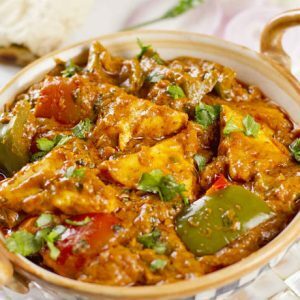 Serve with rice or as a side dish to roti or chapati. 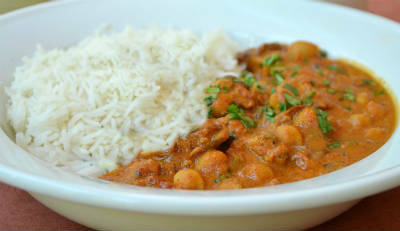 Feel free to comment or share your thoughts on this Chickpeas Tikka Masala Recipe from Awesome Cuisine.